Last night, Brewers pitcthers combined to walk seven batters while the Reds offense took advantage and posted six runs. While the pitching woes continue for the Brew Crew, the Reds bullpen has been nearly perfect on this road trip so far. Reds RHP David Weathers appeared in his 900th game last night, only the 20th pitcher in history to do so. His line was 0.2ip, 1k. Today is more comfortable in Milwaukee, 57 degrees and sunny at 2:00pm. The roof is open for the first time since we have been here, but you can expect it close before game time. 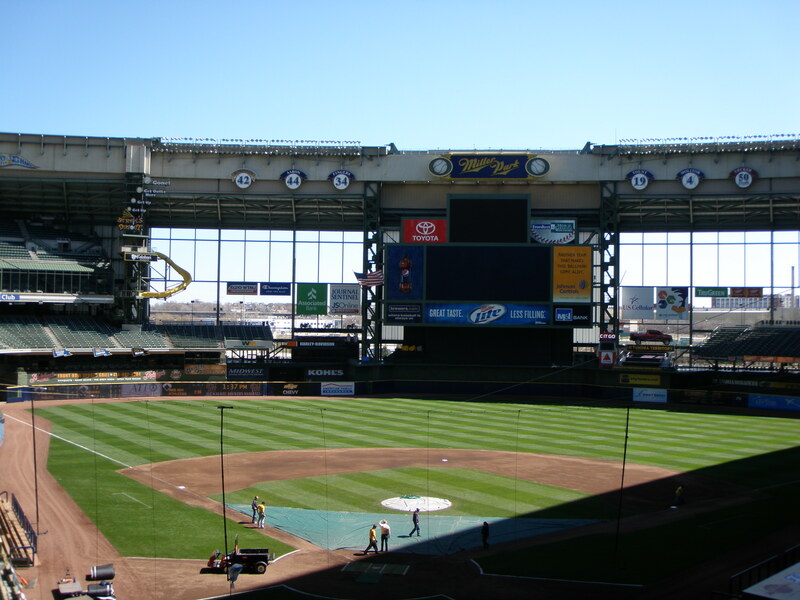 Last year, the Brewers didn’t play a home game with the roof open until sometime in May. 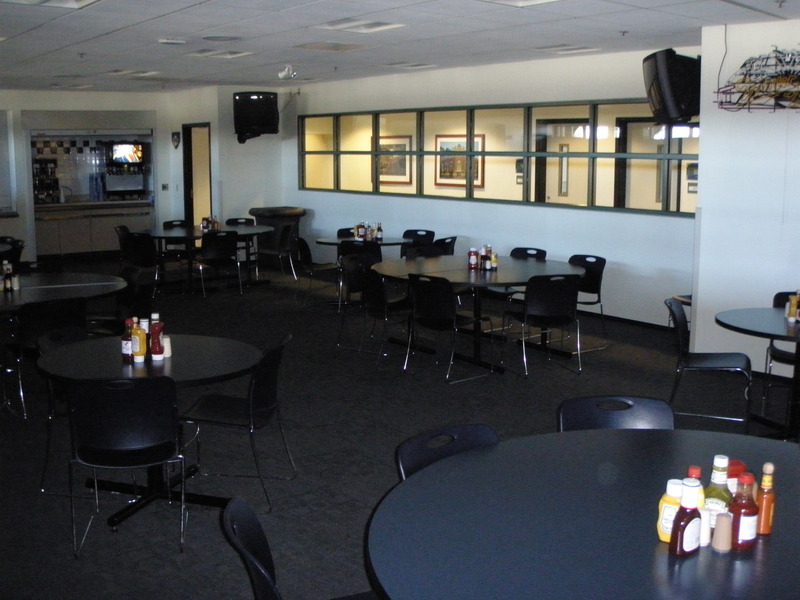 To continue on my Milwaukee food binge, here is a picture of the Miller Park press dining area. Housed here is a milk shake machine that produces the best I have ever had. More to come later on today’s Jackie Robinson celebration.